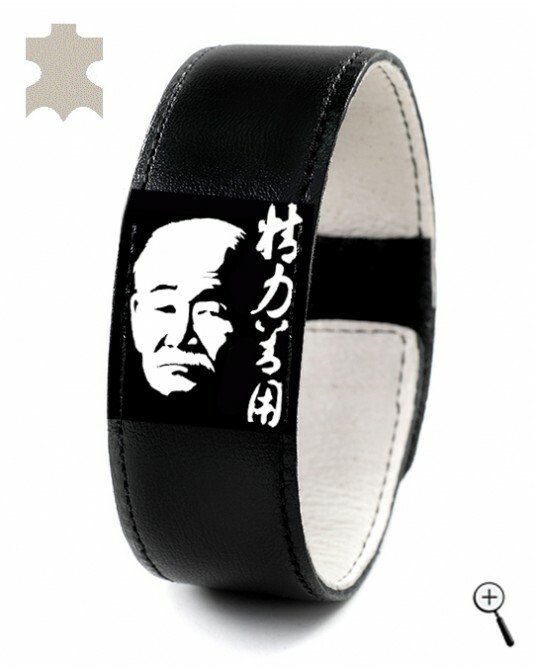 The magnetic accessory with a picture of Kano Jigoro and inscription on kanji "maximum efficiency in energy use" is made of black leather. The lining of the magnetic accessory is soft porous leather, sweat absorbent in the area of contact with the body. Wearing magnetic accessory the skin stay cool. The black magnetic accessory can be cleaned from the salt of sweat with lukewarm water.